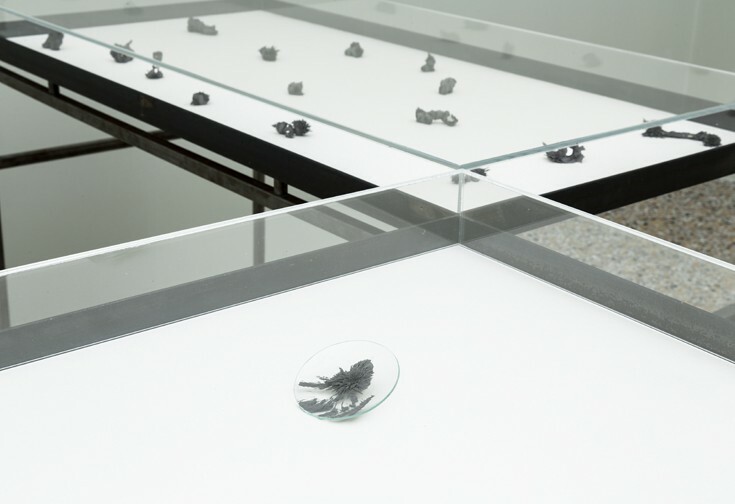 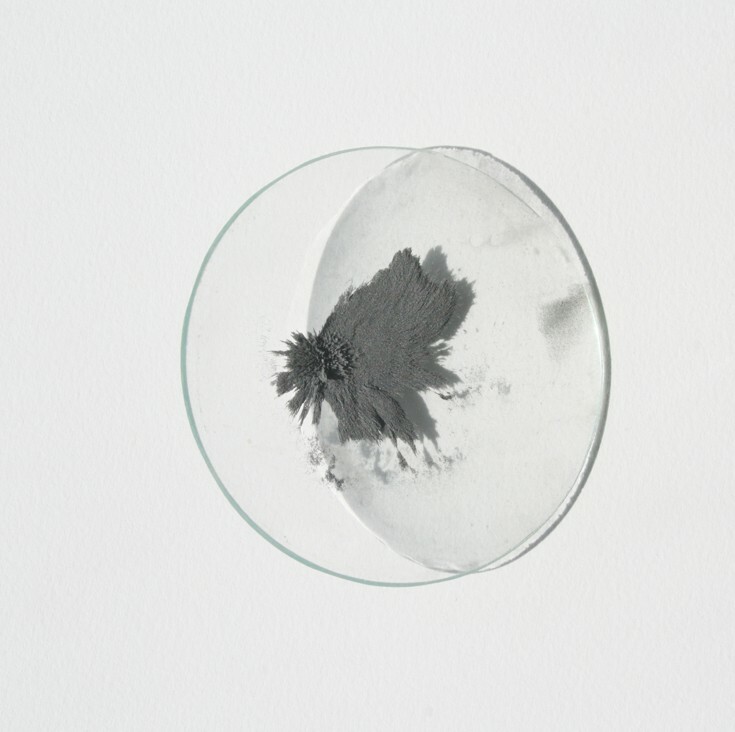 Musée Jenisch Vevey, installation view, glass lens, iron filings, and magnets. 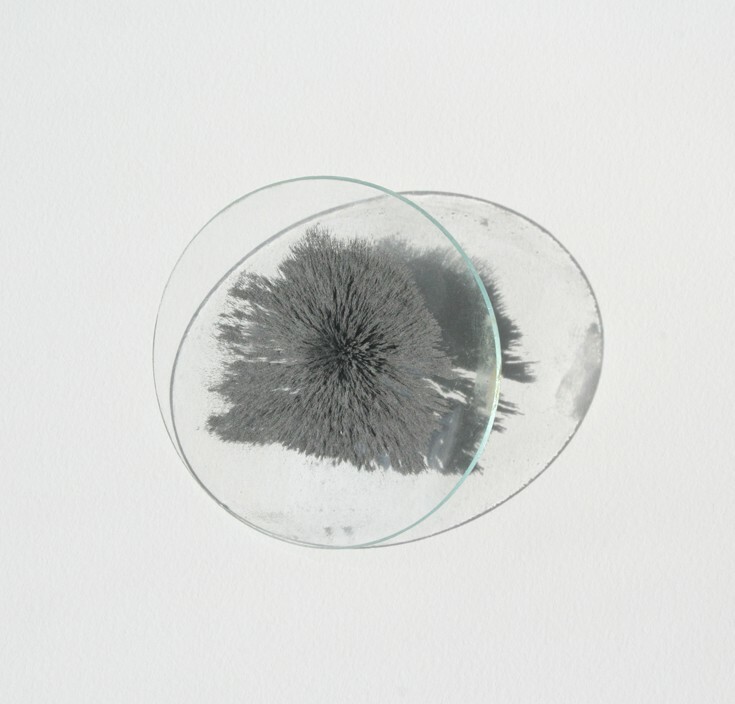 Diameter 6 cm. 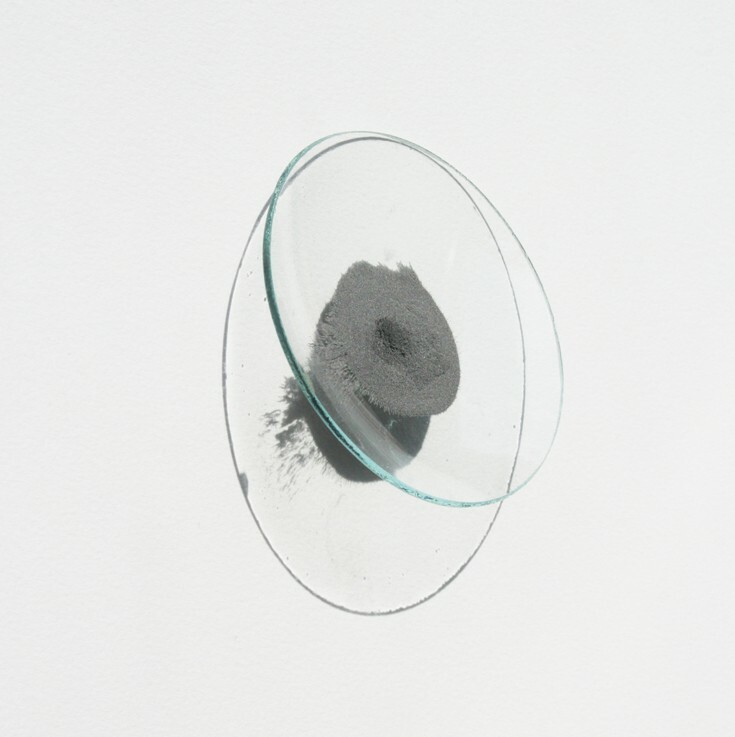 View of the vitrine, with different small magnet object coated with iron filings.